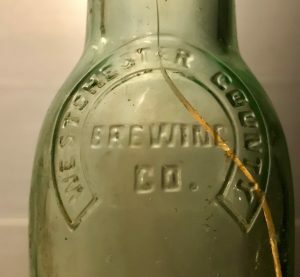 The Westchester County Brewing Company, sometimes referred to as the Westchester Brewing Co. or the Westchester County Brewery, was established in late 1909 and maintained facilities in both Mount Vernon, New York and across the Hutchinson River in Pelham, New York. The company founders were William H. Ebling, Jr. and William Hobby. According to his December 10, 1910 obituary, Ebling came from a family of New York City brewers. Mr. Ebling was the son of William Ebling, who with Phillip Ebling, established the brewery at 156th Street and St.Ann’s Avenue, The Bronx, years ago. He was associated with his father and uncle until the brewery was sold. Two years ago he and William Hobby organized the Westchester County Brewing Company. 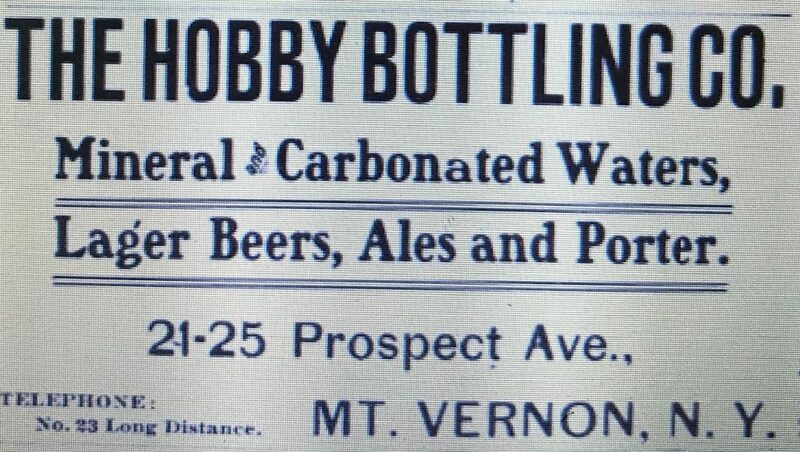 Ebling’s partner, William Hobby, was the proprietor of the Hobby Bottling Company located in Mount Vernon, N.Y., a business that, according to a notice printed in the March 15, 1898 edition of the New York Times, incorporated around that time. The advertisement below, from the 1902 Mount Vernon Directory, listed their address as 21-25 Prospect Avenue, an address they maintained from 1899 up through 1912. 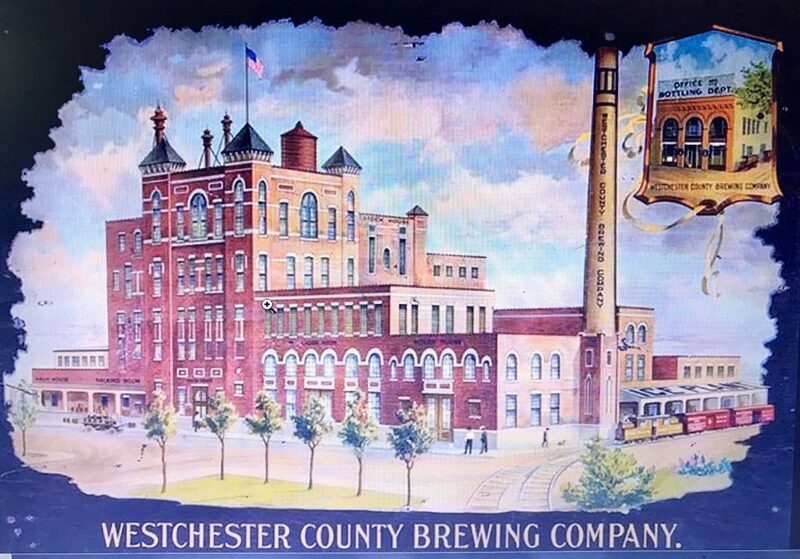 Ebling and Hobby established the Westchester County Brewing Company sometime in late 1909. The January 1, 1910 edition of the “New Rochelle Pioneer” reported the formation of the new corporation. The Westchester County Brewery has just been incorporated with a capital of $400,000 to take over the defunct Pelham Hygeia Ice Plant at Pelham and the bottling business of William Hobby of Mount Vernon. The company will install a brewing plant to have a capacity of from 50,000 to 60,000 barrels of beer a year and an artificial ice plant with an output of 100 tons a day. In the prospectus it is interesting to note the statement that Westchester County consumed more than 500,000 barrels of beer per annum of which it produces less than 10 percent. The only beer brewed in the county at present is in Yonkers. The company will operate under what is known as a co-operative plan; that is the retailers will be interested financially in the venture. 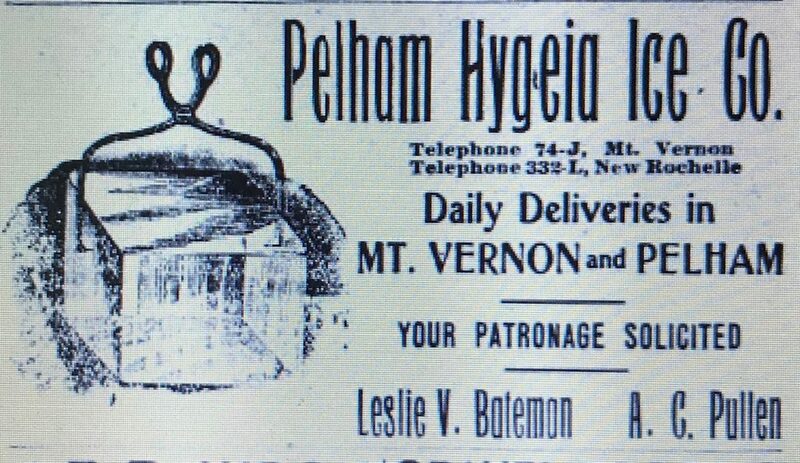 The Pelham Hygeia Ice Plant had been listed in the Pelham directories dating back to 1902. Early maps show that it was located adjacent to the Hutchinson River near Sparks Avenue. This advertisement was included in the 1907 Pelham Directory. The first directory reference for the Westchester County Brewing Co. was in 1910 and it indicated that the new business continued to use the properties of the combined companies.. That year they listed their office (and bottling department) address as 21-23 Prospect Avenue, the address of the Hobby Bottling Company and they listed two locations for their brewery and ice plant; one at Sparks Ave, Pelham, the former location of the Pelham Hygeia Ice Plant and the other at Pelhamdale and Riverside Aves and E 4th, Mt Vernon. Ebling was named president and Hobby, secretary/treasurer. After Ebling’s death, the 1911 directory named Hobby, president and Sydney A. Syme, secretary treasurer. The future brewing plant mentioned in the February 1, New Rochelle Pioneer story was ultimately constructed on the property of the former Pelham Hygia Ice Plant. The May 1, 1911 edition of the Brewer’s Review announced that it was fully operational. The Westchester County Brewery in Pelham, N.Y., is now in full operation, with an annual capacity of 80,000 barrels. The refrigeration plant has a capacity of 120 tons daily The value of the building, land and outfit is estimated at $500,000. The Westchester County Brewery, North Pelham, New York, was formally opened on June 2nd, when about 500 visitors were shown through the buildings and entertained with an old-fashioned New England clam bake, served on the lawn. The new plant is up to the minute in its equipment and President William Hobby, who is also proprietor of the Hobby Bottling Works, Mount Vernon, N.Y., says that its products will be the finest that skill, experience and high-grade materials can manufacture. This image, taken from one of their advertising signs, depicts the new brewery as well as the Mount Vernon office and bottling department shown in the upper right hand corner. Apparently, Ebling and Hobby had financially overextended themselves building the new brewery and not long after its formal opening the business was in financial trouble. In his September 9, 2018 blog, the Town Historian of Pelham, Blake Bell, detailed their financial difficulties. Portions of his blog are presented below and the entire write-up can be found at www. pelhamplus.com. In the months leading up to the completion of the main facility and its opening, the pair touted the new business as a sure “bonanza” and sold stock in the venture to investors throughout Westchester County and New York City. In less than a year the new business was in trouble. On September 12, 1911, bankruptcy proceedings were commenced as a voluntary petition for dissolution of the business was filed. In reality, the bankruptcy was merely a move to fend off creditors. There were more than twenty lawsuits pending against the company at the time of filing with some nearing judgement. As the proceedings dragged along, the brewery continued to operate under receivers including William O. Hobby (the remaining living founder). Hobby’s own financial situation, however, grew increasingly bleak. In March, 1915, Hobby filed for personal bankruptcy. It is reported that negotiations for the purchase of the Westchester Brewing Co.’s plant in North Pelham, N.Y., by the Knickerbocker Ice Co., are pending and that a deal will likely be consummated within a short time. The Knickerbocker Ice Co. has been furnishing considerable natural ice to the residents of Mount Vernon, New Rochelle and their environs, but it is stated there has become a profound preference for artificial ice, and the company being desirous of conforming with the consumers’ wants, the ice manufacturing equipment in the brewing company’s plant will enable them to manufacture sufficient ice for this section. The 1920 directory listed the Knickerbocker Ice Company at the Sparks Avenue location so apparently the sale closed sometime in 1919. Ultimately, the old brewery building was razed in the early 1950’s. The bottle I found is a machine made, export style, bottle with the company name embossed in a logo on the shoulder. Mount Vernon, N.Y. is embossed at the base of the bottle in small letters. The bottle certainly dates to the operational period of the business; say 1911 to 1918.